AFN national chief Perry Bellegarde. 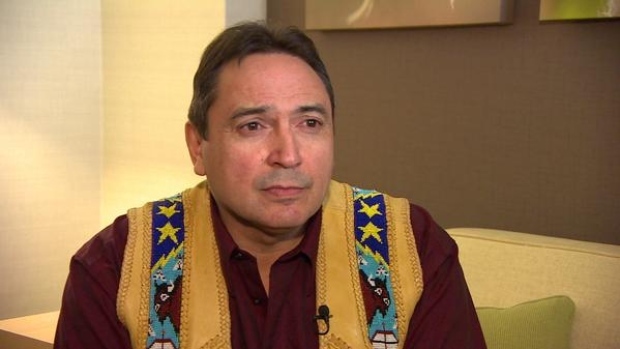 First Nations leaders who support pipeline projects are afraid to speak out because they have become stigmatized by some protesters, AFN national chief Perry Bellegarde said. HALIFAX – To many aboriginals, Leonard Peltier is a hero of the American native rights movement in the 1970s and a wrongfully convicted political prisoner whose story has inspired films, books, songs and T-shirt slogans. 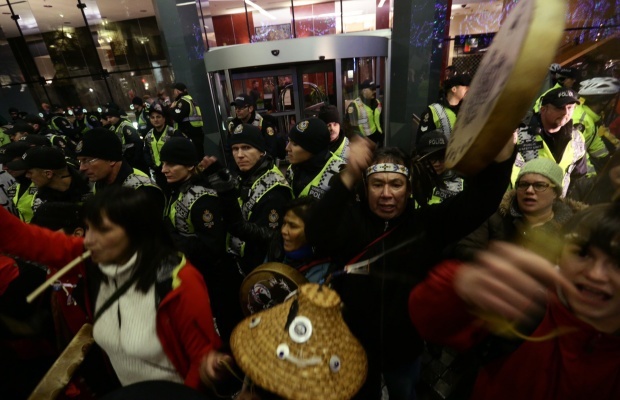 Members of the Public Safety Unit guard the site of the Enbridge Northern Gateway hearings in Vancouver, BC, Jan 24, 2013. The future of Canada’s two largest pipeline projects hinges on the cooperation of First Nations throughout the country. AFN grand chief Perry Bellegarde. The Assembly of First Nations chiefs executive is “concerned” about the national chief’s decision to hire his ‘girlfriend’ as a senior adviser. AFN National Chief Perry Bellegarde hired his partner Valerie Galley to act as his senior adviser. Galley acted as an adviser to Bellegarde while he was chief of the Federation of Saskatchewan Indians and regional AFN chief for the province. 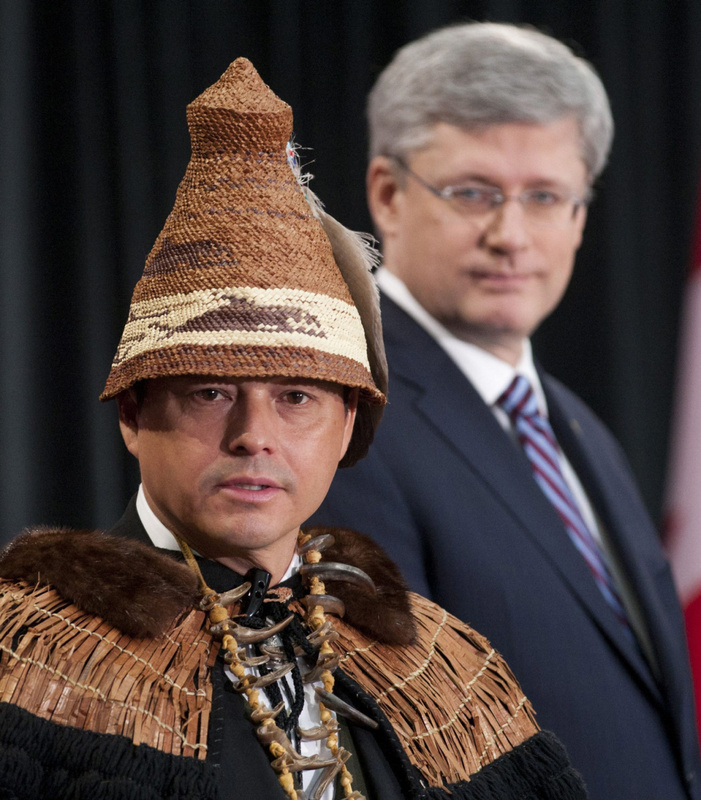 Former AFN ‘grand chief’ Shawn Atleo with his political master, PM Stephen Harper, looking on. OTTAWA – Shawn Atleo’s abrupt resignation as national chief cost the Assembly of First Nations more than just its leader. New documents show the federal government turned down the assembly’s request for an extra $324,000 to cover the unforeseen expenses that arose when Atleo quit his job last May. 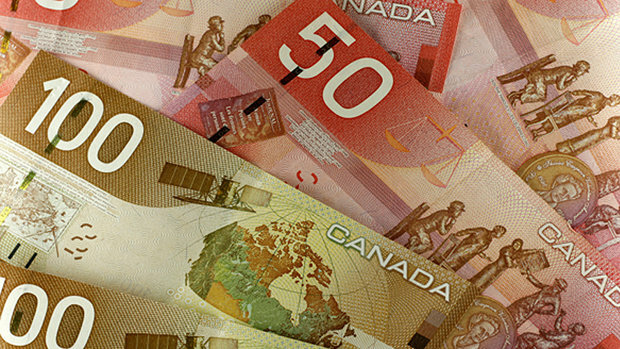 Aboriginal organizations have faced $60 million worth of cuts from the Harper government over the past three years and Inuit groups were hit the hardest, according to an internal Assembly of First Nations analysis obtained by APTN National News.